Batman v Superman Dawn of Justice Review: Read the complete review of Batman vs Superman. The American superhero film featuring Batman and superhero Superman. The movie is primarily based on the DC Comics characters Batman and Superman directed by Zack Snyder and distributed by Warner Bros. Batman v Superman released on March 19,2016 in National Auditorium and March 25th in the United States in 2D, 3D, IMAX 3D, 4DX, premium large formats and 70 mm prints. The movie is made with a budget of $250 million. The thrilling face-off between Batman and Superman makes the movie interesting to the end. The face-off is the heart of the movie. Apart of this face Off, there is nothing huge to talk about in the movie. The direction is ordinary. After the events after Man of Steel, Gotham City-based vigilante Batman travels to Metropolis to preemptively combat Superman, fearing what would happen if the latter is kept unchecked while another threat endangers humankind. Ben Affleck as Bruce Wayne / Batman: a billionaire socialite and owner of Wayne Financial who dedicates himself to protect Gotham City from its criminal underworld as a masked vigilante. Henry Cavill as Kal-El / Clark Kent / Superman: a Kryptonian survivor and a journalist for the Daily Planet who uses his superhuman abilities to protect the Earth. Amy Adams as Lois Lane: a reporter for the Daily Planet and love interest of Clark Kent. Jesse Eisenberg as Lex Luthor: a young sophisticated businessman and hereditary CEO of LexCorp who is fixated on defeating his archenemy, Superman. Gal Gadot as Diana Prince / Wonder Woman: an Amazon princess and 5,000-year-old demigoddess daughter of Zeus. The most exciting and anticipated movie of 2016 is in the theaters today to entertain us. With the amazing teasers and trailers launched last year, the curiosity for the movie release was on the high and finally the expectations have been fulfilled with the latest and biggest release of the year as Batman v Superman. Bat as known for darkness, fights in the darkness with bat flash lighting of the clouds and humongous power of Superman, all these with the direction of Zack Snyder. Adding Bruce Wayne,to the exciting action sequence same like Superman and General Zod from Man of Steel, the movie is a complete action package given to the superman and batman fans. The story moves around Batman and Superman. Bruce witnessed the destruction that Superman and his enemies did to Earth and the people of Earth and he also realizes the threat of Superman’s power. The power with the superman can be used in a negative way and can harm the entire world. If Superman turns evil and uses his power in the wrong direction it could eventually destroy the whole mankind. Bruce alias Batman has witnessed the sane minds turning out to be Monsters latter. He thinks he has to stop Superman in order to save the humans. Now the real action and face off start when Batman and Superman face each other. 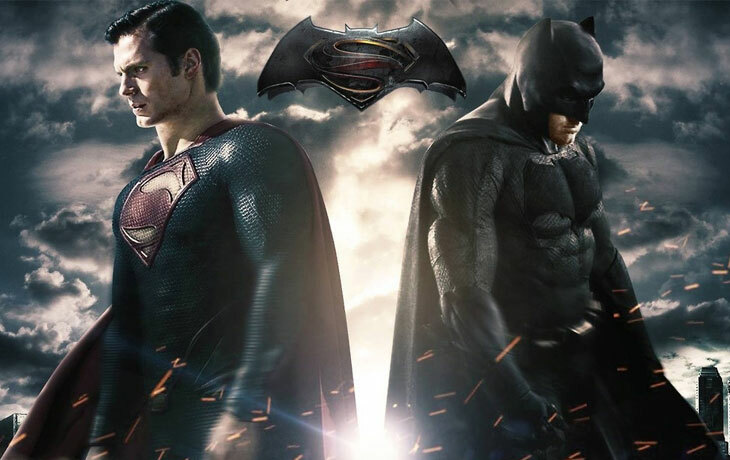 The Question arises here is whether the batman will be able to take on the supernatural powers of Superman? But, Along with the superheroes, there are other monsters to take advantage of this faceoffs. Lex Luthor also finds a striking opportunity to use this situation to his advantage and creates a Doomsday weapon which is deadlier than both Batman and Superman’s powers altogether. The second half of the movie is completely worth watching and the especially the action sequences between Batman and Superman will be breathtaking for you and will get you applause for the brilliance of the script. Batman vs Superman is a complete thrilling story of a rivalry between the two superheroes with heroic action sequences. My rating for this movie is 3.6 Stars. Share your experience of watching Batman vs Superman: Dawn of Justice right here in the comments with us. Stay tuned for more movies updates.